He surprised me with a house on the beach for the weekend. 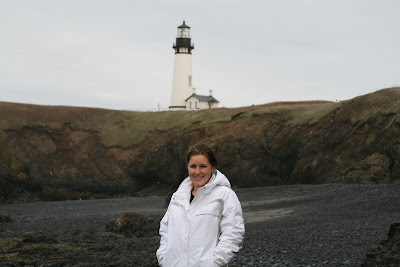 I love to go to the coast and it was so much fun. We stayed at a friends beach house that is 1.2 million $, so I felt like royalty as you can imagine. It was 3 stories and the third floor had a game room with a pool table. We played tons of pool, and games. We ate at lots of yummy restaurants of course and acted like tourists. 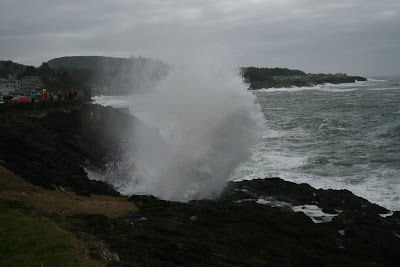 The picture above was at Depot Bay, and it was the only day it was storming so we got to see the big waves come up and make it through the blow holes. 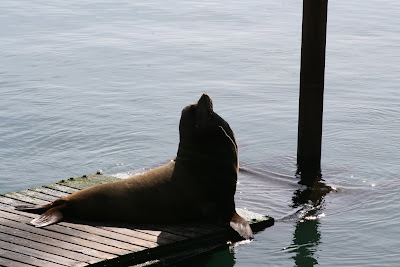 We were in Newport and saw the Sea Lions, no fishing boats came in to feed them, so we only saw a few. 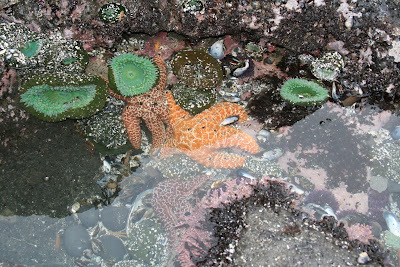 We went to the tide pools, which was a ton of fun. Scott had never done that before. All in all it was a great get away with my husband and we decided we defiantly need to do this more often. The kids were in good hands and hardly missed us at all. Thanks for the best 6 years of my life Scott, and were off to lots more of those years. Wow, that sounds like so much fun. 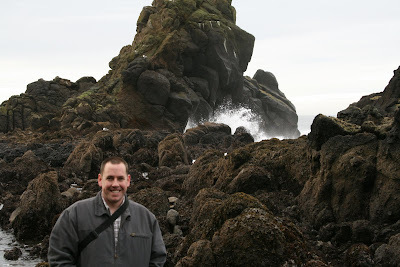 We did a trip like that long before we were married to Cambria/Sonvang, and loved it. How fun!!! that whole house to yourselves? wahoo! :-) Glad you guys had a relaxing weekend...parents NEED those every once in a while to stay sane! Sounds like you had a lot of fun! Way to go Scott for planning such a great weekend away!